The Golden Border Retriever is a unique blend of a Golden Retriever and a Standard Border Collie. The parent breeds are prone to a few major health issues, but not until much later in life. These pups can easily live 6-7 years or longer without health problems becoming prevalent. The Golden Border Retriever can be tested early for most congenital or hereditary diseases and conditions. Check with your vet to see what you can do to ensure your pup lives a long, healthy, and happy life. Especially prevalent in big breeds, bone cancer can set in when big dogs grow too large too fast. Small tumors work their way into any gaps between the joints and the bone, causing pain, arthritis, and a number of other unpleasant symptoms. There is no cure for crossbreed canines with bone cancer. Surgical procedures could remove the tumors, but this is an aggressive, fast-spreading disease. The best a vet could do is make your Golden Border Retriever more comfortable. When a big dog grows, their body needs more time to accommodate the stretching muscles and growing bones, nerves, and joints. 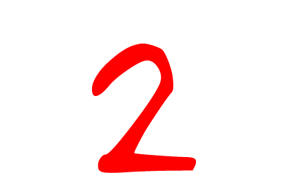 Dysplasia occurs when the joint no longer fits in the socket. 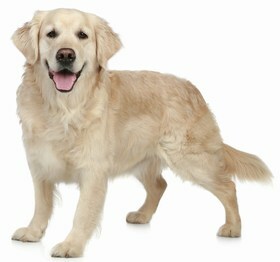 For Golden Border Retrievers, the most common dysplasia happens in the hip or elbow. If left untreated for too long, the cartilage deteriorates, resulting in painful arthritis. 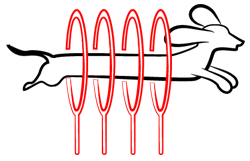 Surgical procedures are used to correct this condition. And prescription medications can make arthritis manageable. Stemming from the Golden Retriever, the Golden Border Retriever is prone to itchy blotches. These are caused by allergic reactions to things like grass, dust, mites, fleas, and pollen. You can protect your pup from these allergies by asking a vet to test him for allergy triggers. Prescription medication helps tremendously when dealing with seasonal allergies in dogs. Other health issues that could affect your Golden Border Retriever include eye problems, congenital heart defects, and bloat. Generally, the Golden Border Retriever lives from 10-15 years of age. The Golden Border Retriever can be a shy, sensitive pup, especially around new people. However, once he warms up to you, he is a social, active, energetic dog with plenty of love to give. He loves cuddling on the couch as much as he loves chasing other dogs in the park. He would make a great family pet, but you need to train him to eliminate any aggressive tendencies that might be hereditary from the Border Collie. That particular parent breed has a habit of getting snippy when they don’t get their way. To train your Golden Border Retriever, be patient, firm, and confident. Both parent breeds are brilliant and very independent, which means your pup will be too. They are talented, with a keen understanding of commands, but you have to establish yourself as the dominant dog in the pack before they’ll take you seriously. Be firm and strong in your instructions, but never, ever yell at or hit your Golden Border Retriever. Negative behavior on your part will instil negative behavior in your pup. 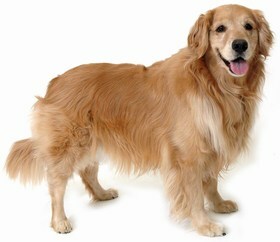 Exercise-wise, the Golden Border Retriever is a relatively active dog. He needs to run, play, and walk outside at least twice a day, but he is just as happy lounging around while his owner reads a book or does other things. Be careful, though. If these pups are left to their own devices for too long, they will certainly find something of yours to chew on to keep them occupied. Make sure you have plenty of chewable toys around, especially for Golden Border Retriever puppies that may be teething. 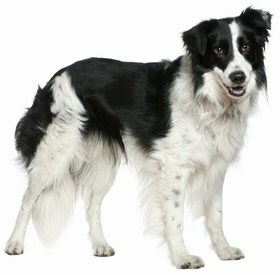 Both the Golden Retriever and the Border Collie have shaggy, long hair and a dense coat. Therefore, the Golden Border Retriever will have degrees of the same. 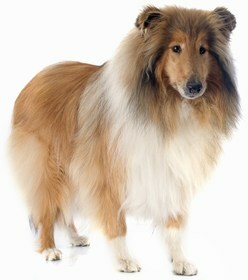 He will shed a lot, so use a brush daily to sweep away excess hair before it falls on your floor. These types of pups have a natural oil on their skin that protects them from bacteria and infections. To avoid stripping him of these natural oils, bathe him only when he’s very dirty. Always use dog shampoo, as these are formulated differently than shampoo for humans. As for the other must-do grooming tasks, your Golden Border Retriever needs his ears cleaned once a week, his nails trimmed monthly, and his teeth cleaned once per day. Golden Border Retrievers have big appetites because they have to re-energize after an afternoon of hard playtime. Feed him two healthy meals per day, each consisting of 1 ½ cups of good-quality dry kibble. The dog food you invest in should be high-quality and nutritious, with whole grains and lean meats listed as the top two ingredients. Give treats on rare occasions or as rewards for good behavior during training. Make sure they are meaty and nutritious with plenty of protein and a bit of fat to keep your Golden Border Retriever satisfied. Looking for a Golden Border Retriever? Cost-wise, you can expect to shell out between $300 to $800 for a Golden Border Retriever puppy. You could probably get an adult cheaper, but all breeders have specifications and requirements that determine how much your new pup will be. Don’t forget to consider the costs of nutritious food, chew toys, vaccines, routine vet visits, and other accessories that are must-haves for your Golden Border Retriever. If you opt to adopt, go to your local shelter. Ask around for a Golden Border Retriever. Adoption fees, for big dogs, in most shelters, run anywhere from $200 to $300. Ranking takes into account a few basic factors including cost, skill level needed, high vs low maintenance and how critical regular training is to success. The Golden Border Retriever is a 2 as far as integration goes. He is friendly and energetic, which makes a great pet for an active family. But he also has a tendency to try to herd or chase children and other pets. It’s in his nature as the descendant of a Border Collie. However, with training, he could be the obedient, sweet dog you and your loved ones are looking for.